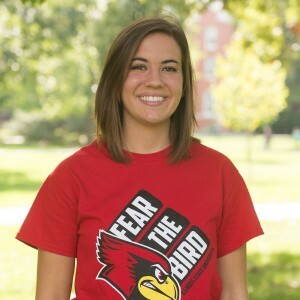 #BirdofMouth student blogger Alina Crowley is a senior public relations major. Summer is coming to an end and you’re ready to start planning for the college transition, which is much different than high school. Don’t know where to start? Here are a few things I do to get ahead before heading off to a new year at Illinois State University. Whether living in a residence hall or an apartment, there are always a few things I need to make my room look perfect. By the start of freshman year I had all the essentials: Bedding, bathroom toiletries, shelving, room decorations, etc. By going shopping before school starts, I step foot onto campus ready and rearing to go for a new semester. I always like to buy my books before the semester starts so I don’t have to wait in line or have to borrow someone else’s. Starting off the semester organized also helps me get back into the swing of school a lot faster! Between Amazon, Chegg, Alamo II, and the Illinois State University-Barnes & Noble Bookstore, you’re sure to find the books you need with no problem. One thing that I still look forward to is back-to-school shopping. Another year means a new style. Going back to school is always a good excuse to spend some of that extra money I made with my summer job. Everyone knows leaving for college means no more of those delicious home-cooked meals. You’re introduced to a whole new kind of eating—dining center food. Luckily at Illinois State, the dining centers are so great that you won’t miss mom’s cooking too much! Between the Watterson and Marketplace at Linkins dining centers, there are plenty of options. My personal favorites are Tex Mex at Watterson and Mongolian at Tri (Linkins)! Hopefully after reading my post you’re feeling prepared for heading off to college. The earlier you get organized, the more time you’ll have to have fun during your first few weeks at Illinois State University, and trust me, you won’t want to miss out! #BirdofMouth student blogger Alina Crowley is a senior public relations major. Read more #BirdofMouth posts.